It all started with a phone call from a friend—an opportunity to go to the Miami Dolphins Training Facility for a meeting about bringing Louder Than A Bomb to Florida. The two-hour drive from my home in St. Lucie didn’t bother me at all. It was November of 2014. I was a single mother of two, working full-time, and driving to Ft. Lauderdale on a weekly basis just to get behind a mic. My plate was full but I still felt empty anytime I wasn’t writing or performing. So, with only my knowledge from a Louder Than A Bomb documentary, a year of writing under my belt, and soul yearning to be filled, I got in my car and made the drive down. Being an athlete and football fanatic since birth, walking into the Miami Dolphins training facility was nothing short of amazing. There were championship rings and banners, life-size photos of hall of famers, and to top it all off we were greeted with a “pre-game” speech by the Dolphins head coach! As exciting as it was, I felt completely out of place. I was a college dropout in a room full of educators. I started doubting myself—thinking it would be impossible to get into the school system and teach poetry when I had no experience and St. Lucie County had no idea what slam even was. I thought back to when I was in high school and how my coaches helped shape me into the woman I became—how if it weren’t for that outlet of sports, I wouldn’t have made it through high school. I also knew deep down that, more than basketball, poetry saved my life. I owed it to myself to help save someone else. I was going to do whatever it took to get poetry into my local schools. Fast-forward three years and my entire life has changed. 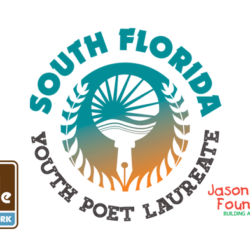 There are currently 7 active high school poetry clubs in St. Lucie County and this past August, I became the LTABFLA Recruiting Coordinator for the entire state. Recruiting high school poets is not easy per se. I am usually given 15 minutes to explain what slam poetry is to a room full of high school students who want nothing more than to get back to their cell phones and laptops. I’m a young woman in my 30’s—full of tattoos and rockin’ a blonde Mohawk—I get asked what grade I’m in on a daily basic. Yet, I can always spot a writer in the room. The way the student’s eyes light up at the mention of the word poetry or the smile I get after I finish a poem. Engage Student Body – With the permission of your administration, invite a representative from the bluapple Poetry Network to your school. This poet/teaching artist can make rounds in classrooms throughout the school, performing for the student body. I typically spend about 10 – 15 min in every English class each period over the course of one to two days. 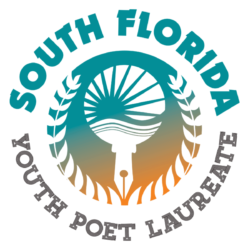 I inform students of LTABFLA and share some success stories of previous poets. I answer any questions from the students and teachers and end the presentation with a poem—either myself or a video from YouTube. Find a Sponsor – A club sponsor must be an employee of the school; however, there is no requirement that the sponsor be an English teacher. It can be a tech, science, or math teacher, as long as the sponsor must be willing to meet with the students for a minimum of 1 hour a week. Furthermore, the club sponsor doesn’t have to be a writer or even a poet! They just have to be passionate about their students and be someone that the students feel comfortable with. If the youth poets connect well with the sponsor, opening up becomes easy and the poems will start flowing! Prepare for First Meeting – The first club meeting may be huge or it may only be 3 students. Don’t get overwhelmed or discouraged. Try to make the first meeting personal. Find out about each of your students, what writing styles they prefer, how long they have been writing etc. Day one, I usually have the poets sit in a circle. I ask their name, how long they have been writing, what they like to write, their favorite book and movie, if they have siblings, how many times they’ve moved, and end with asking them to share a secret about themselves or something about themselves they usually don’t tell others. This gives the poets an opportunity to start getting to know each other right away and begin getting comfortable sharing personal information. Become Known on Campus – The more the other clubs, students, and staff know about your club, the easier it becomes to get assistance from the administration. Clubs make have to tackle acquiring transportation, field trip permission to miss class for LTABFLA, club t-shirts, etc. 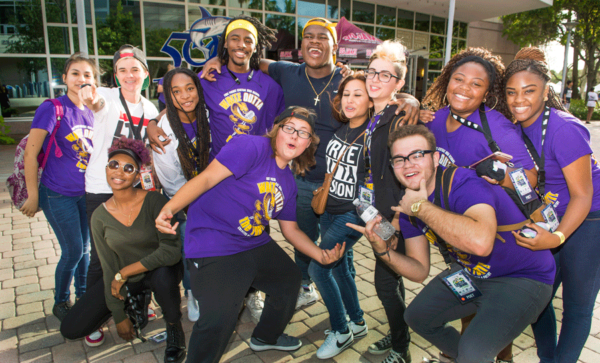 Have your student poets volunteer during Homecoming Week or during special on-campus events. Perhaps, your poets can write love poems for Valentines Day. Ask your principal if your club members can perform during lunch, pep rallies, or all-school activities. Make yourself both useful and present on campus. 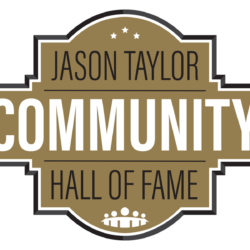 Don’t Be Afraid to Ask For Help – We at the Jason Taylor Foundation are always happy to help! We offer a spoken word curriculum aligned with the latest educational standards, access to local teaching artists, and virtual showcases to help engage your club with other poets. 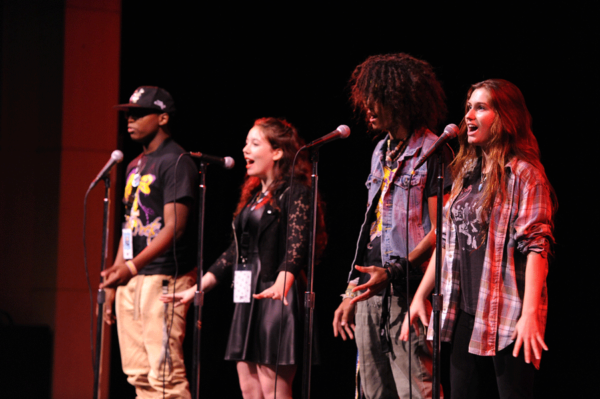 We host monthly open mics in South Florida so your students can start becoming comfortable on stage. 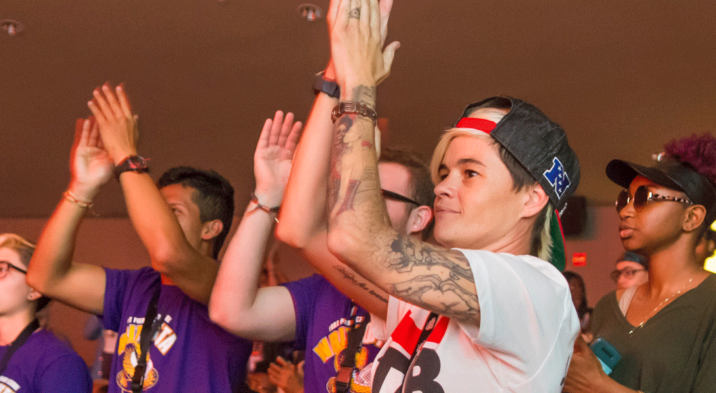 Our staff and teaching artists can assist you with any issues you or your club are having the best we can—we are all working towards the greater goal of bringing this life-changing platform to our youth. I have watched hundreds of youth poets bless the stage—some becoming family. I am amazed every day as I watch those young high school boys and girls grow into wonderful men and women. A few years ago, my life was saved by a poem and a mic and now I am making a career out of sharing spoken word across the state. It is only proof that this can happen in other counties too. All it takes is the passion and perseverance of one person who is unwilling to take no for an answer. Will you be the poetry champion for your school? CLICK HERE to read HeRo’s essay in it’s entirety.